There is a plethora of products hopping on to the RAW food and CLEAN food bandwagons every day. Some claim “100% Natural”, some “100% Organic”, but there is really no clear perspective for the end consumer on what these claims mean. The International Center for Integrative Systems is taking efforts to clear this confusion by creating universally accepted standards for certification of food products. The Center is the home of the RawFoodCertified and the CleanFoodCertified projects. It also provides the infrastructure, administration and governance to certify products using the international standard. The Center, in collaboration and discourse with the raw food community such as the Whole Foods Market, has now led to an International Standard for Raw Food Certification and the imprimaturs Certified R.A.W.™ and Certified C.L.E.A.N.™. A Certified R.A.W.™ or Certified C.L.E.A.N.™ certification will ensure compliance to these universally accepted standards and will serve as verification of manufacturers’ claims and will also serve to support the growth of the raw food community while enabling transparency for consumers, retailers, manufacturers and the regulatory community. They must be “Real.” The Real element was captured by the criteria that the product must be 100% safe (for a score of 0 or 25) and must have all non-GMO ingredients (for a score of 0 or 25), for a total score of 0 or 25 or 50. They must be “Alive.” The notion of Alive was denoted by the level of bioavailability of the combination of ingredients in the product, determined using a bioinformatics approach currently accessible through the CytoSolve technology. Score for this aspect can range from 0 to 20.
the ANDI nutrient score of the combination of ingredients normalized between 0 and 10. They must be “Live,” which means a majority of the ingredients must be organic, to fetch a score between 0 and 20. They must be “Active.” The notion of Active was denoted by the level of bioavailability of the combination of ingredients in the product, determined using a bioinformatics approach currently accessible through the CytoSolve technology. Score for this aspect can range from 0 to 20. They must be “Nourishing,” as determined by ANDI nutrient score of the combination of ingredients, normalized between 0 and 10. Certified C.L.E.A.N./Certified R.A.W. are consensus-based Standards that have been developed by the community of stakeholders in the food manufacturing industry to support the raw and clean food movement, reflecting a diverse range of perspectives. Beginning with the first public hearing on February 2, 2015, ongoing public hearings and Standards Committee meetings have been established as an important mechanism for keeping the standard current, transparent and adaptive. The most recent public hearing was held on Dec 15, 2017 and the most recent Standards Committee meeting was held on Dec 20, 2017. Version 1.3 of the Certified C.L.E.A.N. and Certified R.A.W. Standards was published on March 16, 2017. The International Center for Integrative Systems is dedicated to unbiased, scientific research. On the topic of GMO’s, the Center is neither pro nor anti, but rather committed to ensuring the safety of food that people consume. 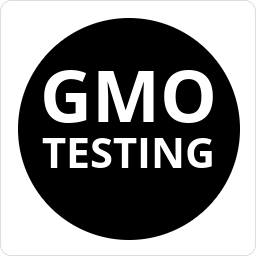 If your products include GMO ingredients, and you would like to test your products to verify that they do, in fact, include GMO ingredients, we offer you testing services to do that. The GMO Testing service confirms the presence of one or more GMO ingredients in your product.